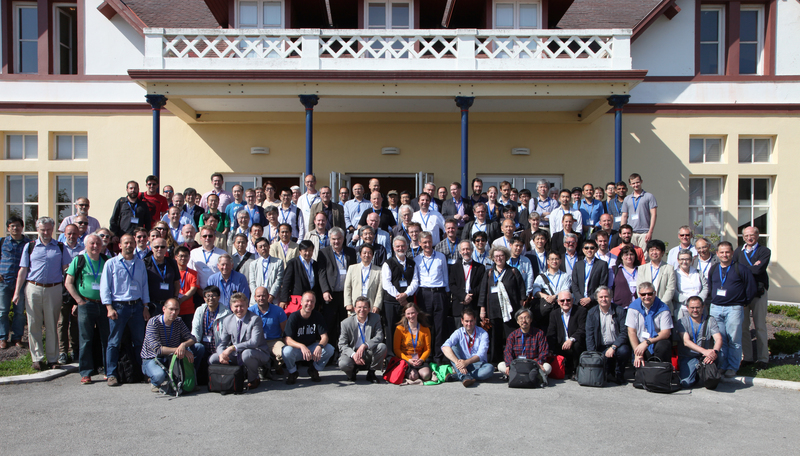 The 2016 ECFA Linear Collider Workshop took place in the beautiful Spanish city of Santander from 30 May to 5 June. It brought together more than 200 experimentalists, theorists and machine builders to discuss the latest developments in linear-collider physics. The Director General of KEK, Masanori Yamauchi, summarised the present status of discussion in Japan concerning hosting the ILC. The three committees set up by the Ministry of Education, Culture, Sports, Science and Technology (MEXT) are now preparing their final reports, although no final decision will be taken before the conclusion of LHC Run II. Most likely the decision will be taken in 2018. Satoru Yamashita, Project Professor at the University of Tokyo, summarised the actions aimed at gaining international support for the ILC. Bilateral discussions between MEXT and the US Department of Energy have now started with the formation of a discussion group which will meet regularly to discuss important issues such as cost sharing and governance. The CERN Research Director Eckhard Elsen outlined the scientific programme of CERN. Top priority is full exploitation of the LHC and its luminosity upgrade. Future long-term options are being prepared for the next European Strategy meeting, probably in 2019. These include a possible staged implementation of CLIC as well as other options like a very high-energy hadron collider (FCC) and an energy upgrade of the LHC. 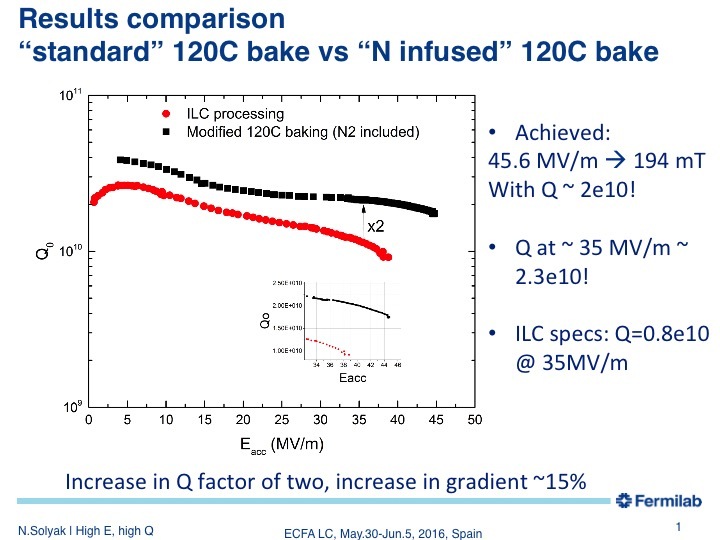 New results on nitrogen doping presented by Nikolay Solyak, Anna Grassellino and Sebastian Aderhold show an improvement in both Q and gradient in single-cell cavities. On the scientific side, there was much discussion of the possible sighting of a new resonance at 750 GeV at the LHC and its implications for the ILC. If this resonance is confirmed in the coming months, it is recommended that the possible option of running the ILC as a gamma-gamma collider at 1 TeV as well as an e+e– collider be strongly pursued. This would require a minor modification of the ILC layout. On the machine side, there was considerable excitement about new results on nitrogen doping of superconducting cavities presented by the Fermilab group. They have previously reported progress in improving the Q value at modest gradients. They have now succeeded in improving this result to achieve simultaneously high Q and gradient on single cell cavities. They are now in the process of testing nine-cell cavities of the ILC geometry. If these tests are successful, they will have an important effect on the ILC design.